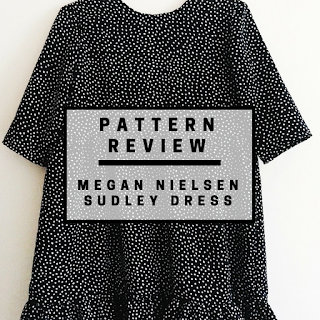 The Sudley dress by Megan Nielsen ticks all the boxes for me. Its loose-style means I can eat all the food. It is simple and easy to make, with an easy tie fastener. Even better, the dress is reversible! It requires light to medium wovens which is great for me as I love working with viscose. It also has my guilty pleasure as one of the main design features – the Peter Pan collar. Now, a Peter Pan collar is very Blair Waldorf in 2009 (XOXO) but for me, this type of preppy dress will always be in-style. 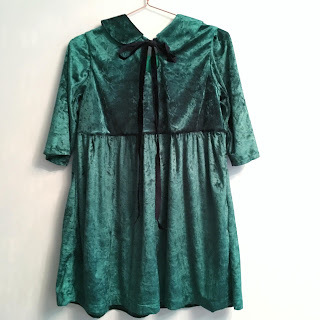 My first Sudley dress was my Christmas party dress. 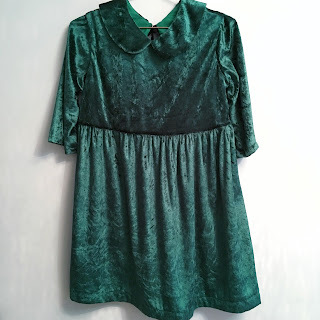 I chose a crushed velvet in a festive green and lined it with a dark green polycotton. The make itself was quick and easy. I decided not to use the ties because I struggle to cut in straight lines, let alone with crushed velvet! Instead, I used a simple hook and eye fastening, but this turned out to make the neckline far too tight. Luckily, I found some black velvet ribbon in my stash which made perfect ties for the neckline for a looser fit. 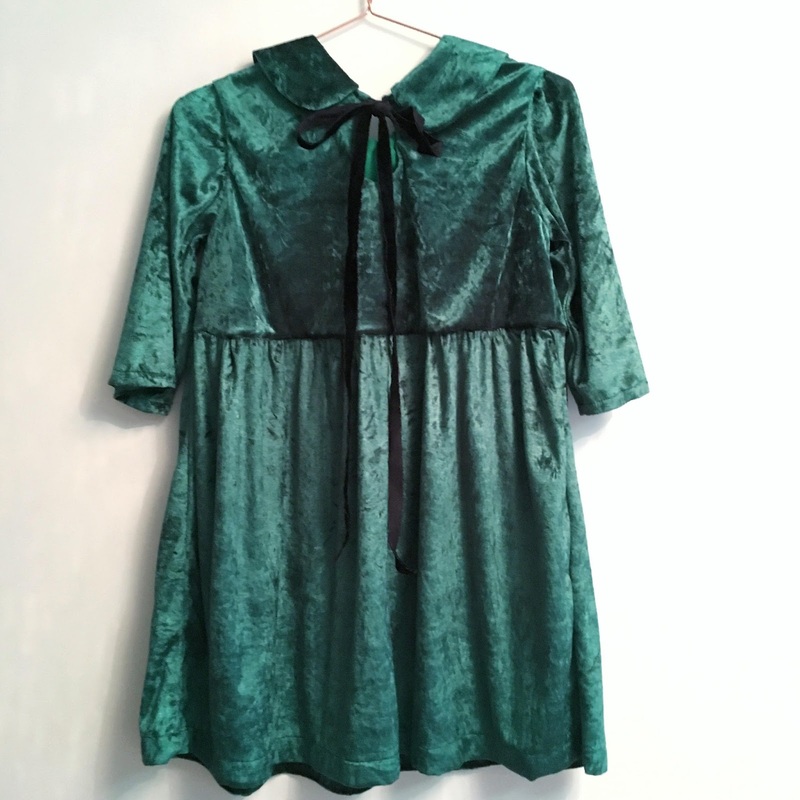 The dress's empire line was one of the things I loved about the Sudley. Although, due to a larger than average bust, I found the waistline too short by a few inches. Regardless, I felt like Mara Wilson in Miracle on 34th Street wearing the cutest festive dress ever. 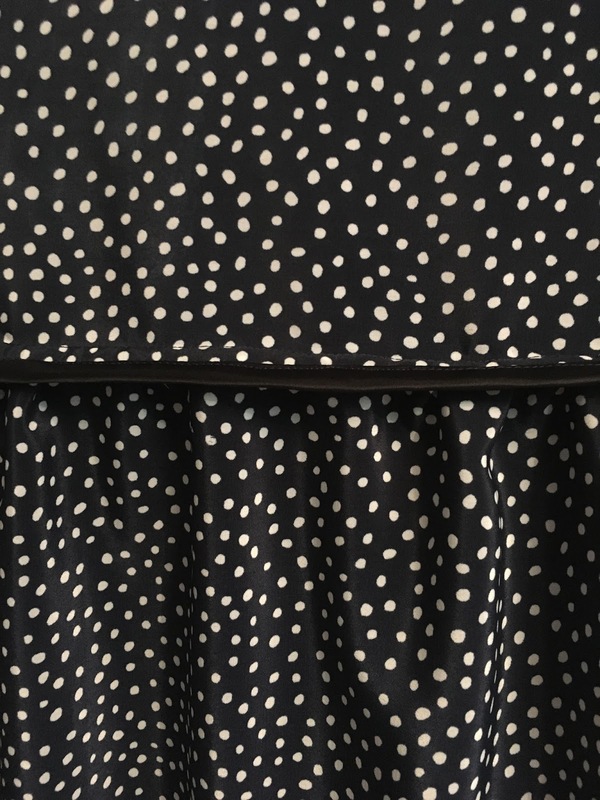 For my second Sudley, I chose a navy and white irregular polka dot polyester mix. Ideally, this would have been viscose but I loved the irregular pattern on the fabric and went with it. The dress was cut to the same size as the first, but I remembered to lengthen the bodice. This time, I made the bias binding for the neckline, but it did not sit right. So, I ended up making a facing which worked better for the fabric which had zero stretch in it. Seam finishings are something I'm trying to get better at. I just need more patience. 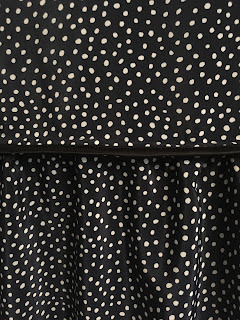 So for my second Sudley, I decided to bias bind the seam joining the bodice and the skirt. This created a slightly bulky seam, but it's neat and hides all fraying fabric. 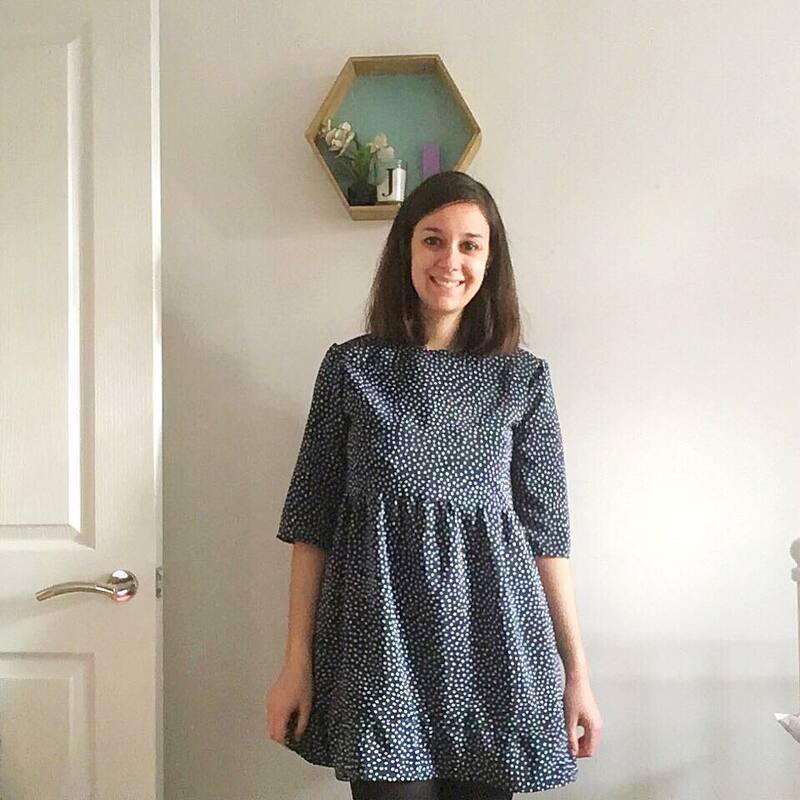 I was pretty smug by the end of the make with an almost-finished, almost-perfect fit dress. The hem seemed long on this version, so I decided to hack it off. My biggest downfall. I’m very good at hacking off the length of skirts and dresses due to my petite size. But this time, I took far too much off. Facepalm. The options? Either hack it into a peplum top (not my style) or add length to it with my remaining fabric scraps. I chose to add a simple ruffle to the bottom of the dress to add length. This was pretty easy to do with a long rectangle of fabric gathered across the hemline. It looks OK, and actually I found a very similar version on Joanie clothing. The Sudley dress is so comfortable and very easy to wear. I’d recommend it as a simple but stylish make for all seasons. I can't wait to make more variations such as the blouse, or the drop-waist dress - there is something for everyone!